Description: Smith & Wesson Performance Center Model 460XVR revolver, stainless steel, .460 S&W Magnum caliber, 10.5 inch barrel. Includes holster and bag. This S&W is in excellent condition. 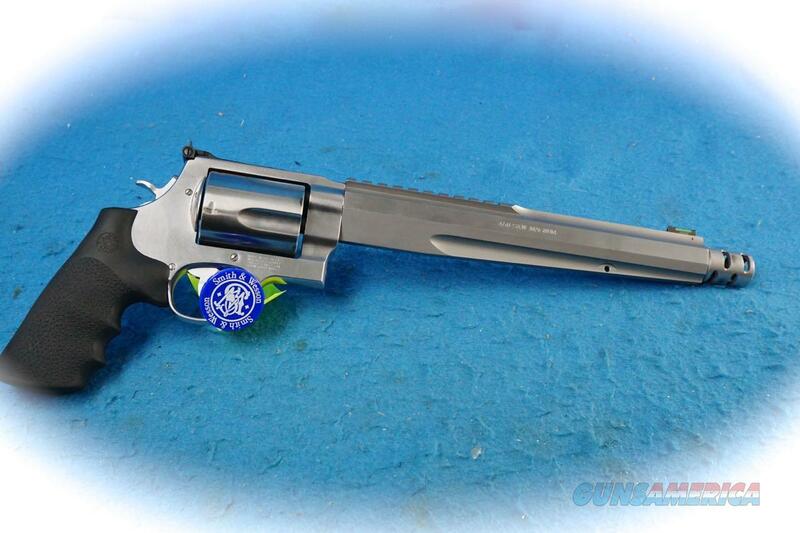 This revolver will chamber and fire .45 Colt and .454 Casull cartridges in addition to the stated .460 Magnum.